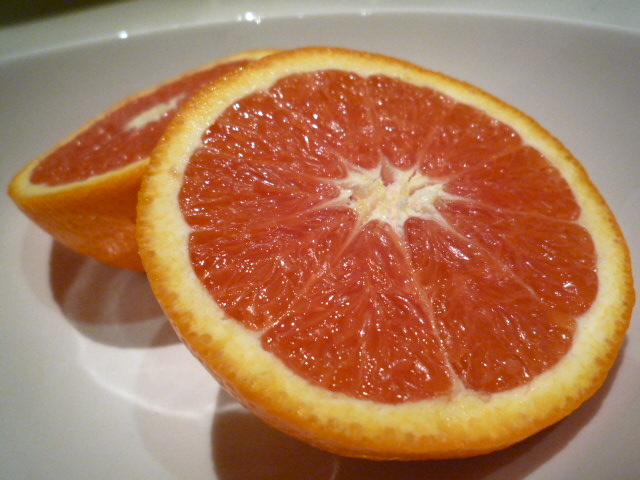 Exhibit A is a Ruby Blood Navel, a hybrid piece of fruit that combines ruby grapefruit, blood orange and navel orange in a delicious, bitter/sweet, citrusy ménage à trois. 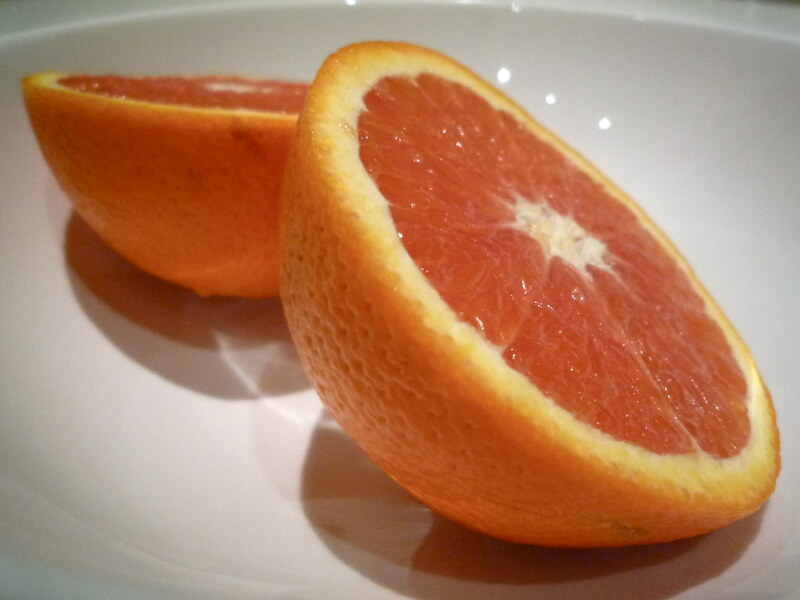 It looks gorgeous, the juicy orange flesh taking on a very faint purple hue, and it tastes... amazing. 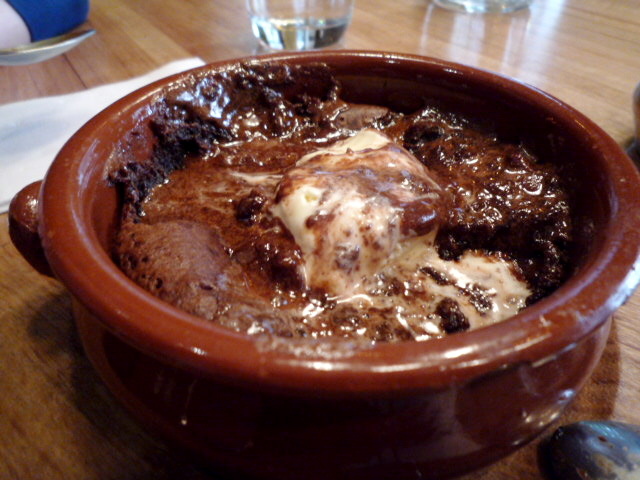 Exhibit B is the chocolate spiced pudding ($15) at Portello Rosso. Went to Portello Rosso on Friday with Miss T for lunch pizze (I can recommend the pizza called The Shizzle: pear, jamón, blue-veined queso de valdeón and roquette), and on a whim we decided to share the chocolate pudding. For the first six or so seconds after eating a mouthful it was just lovely hot gooey saucy chocolate pudding, and then OH MY GOD THE SPICES: cinnamon, sweet paprika, cayenne pepper and a hint of smoked paprika. 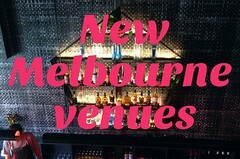 Extraordinarily good. oh my, that pudding sounds divine! That pudding was the best impulse purchase ever! 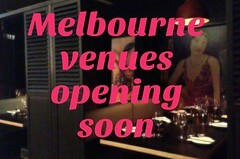 I bought some of those oranges at the Vic Market the other day, so delicious. Chocolate pudding also looks amazing. It sure was, Reemski! I know the puddle of melted ice cream makes it look a little messy, but the taste was something else. Sorry, I have the need to correct you regarding the Ruby Blood Navel. 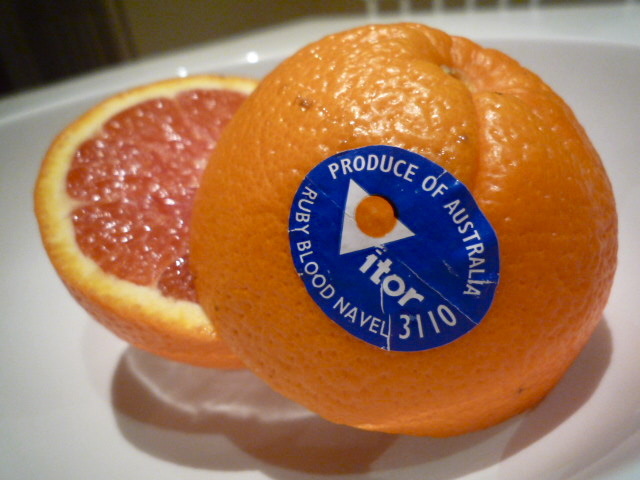 This variety has no relationship with Blood Oranges as their colour is derived from Lycopene instead of Anthocyanin. I am rather annoyed that they are marketing them with the blood title which will only serve to confuse the consumers who are looking for the real and true-to-type Blood Orange varieties.